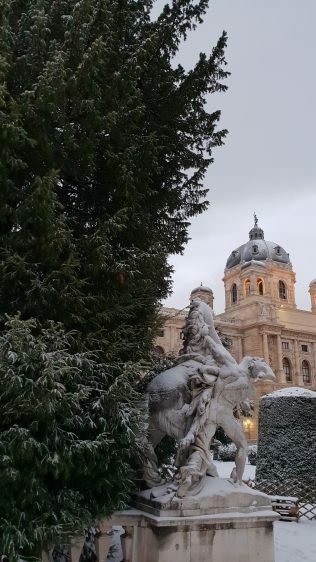 So, you’ve decided on Vienna for your next vacation. And have done countless amounts of research on where to go and what to do. 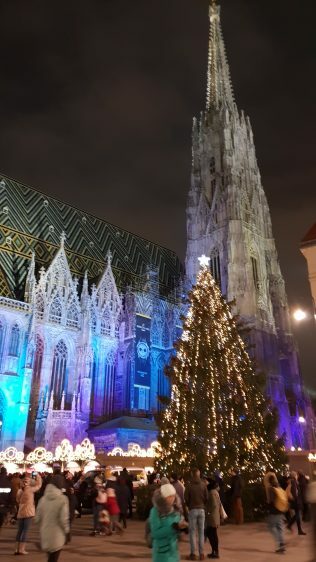 Well, I’ve just returned from 2 weeks in Vienna, spent a wonderful year-end of 2018 there, and have gathered some cool tips for you to check out. 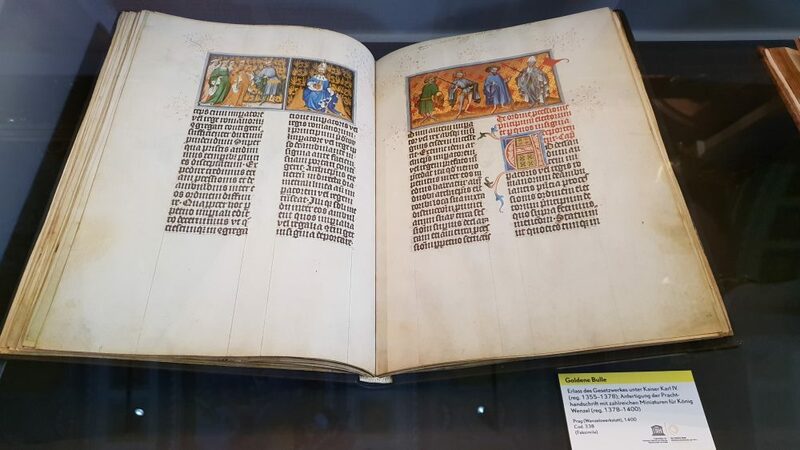 It includes my top tips on free things to do in Vienna. Have fun reading! Lucky us, it snowed while we were there, and there really is nothing quite like a fresh coat of powder to pretty up your pictures, is there? Now, it’s completely possible to take the super-fast CAT train from the airport to the city, Single journey at 11€ and Return at 19€ . Of course, once you hit the city centre in 16 minutes, you’ll then have to make your way to your hotel. Which if you’re lugging around heavy suitcases, might not be the most convenient thing to do, especially if you’ve had a long flight. 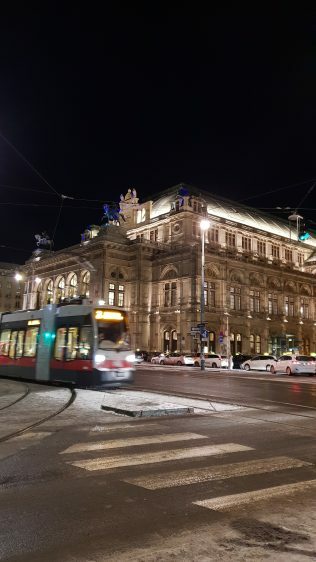 Vienna isn’t as cobblestone-heavy as Prague, but still, if you have to figure out which tram or bus or metro you have to take to your hotel, and not knowing if you’d be able to lug your suitcase onto any of those transportation modes, you might want to spring for a cab. This is where Vienna Airport Cab comes in. 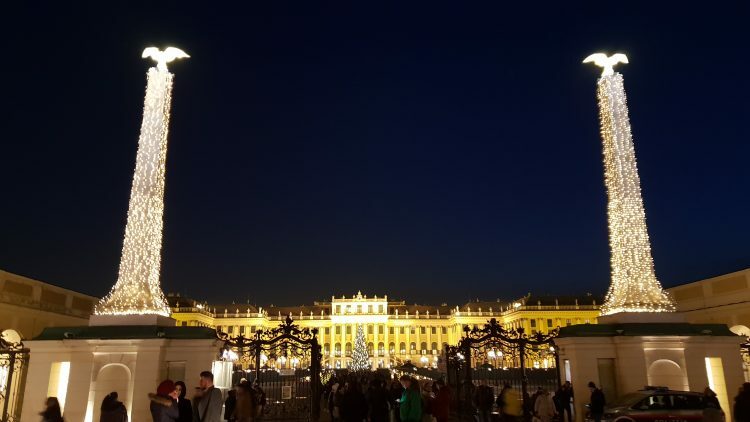 While hitching a cab from the airport to the city might cost you close to 40€, Vienna Airport Cab charges you a flat fee of 27€, if you’re staying around the city centre, which is highly likely that you are. It was the two of us, with two large suitcases and one big hand carry, but I believe the price is the same regardless of number of people. The booking process is ridiculously simple and fast. I made my booking the night before using my mobile phone while I was in Singapore, and immediately received an email confirmation. In addition, there is a Whatsapp number, which being concerned about the last minute nature of my booking, I jumped on to, and the support guy was so quick to respond with lots of clear information. It was like chatting with a friend. Upon arrival at the airport, as soon as you turn on your phone (use the airport’s free WIFI if you don’t have a mobile data roaming plan), you will see another Whatsapp from them with clear details on where they are waiting. I used them on both arrival and departure journeys, and both times, they were on time, good cars and nice and friendly people. In summary, cost-wise, I think it’s worth it for the ease and convenience, especially if there are 2 of you. It’s technically only 5€ more, 22€ for 2x one-way CAT tickets vs the 27€ Vienna Cab ride. Unless you’re not well, or it’s too inconvenient, stay away from cabs and use Vienna’s excellent public transport system. You’ve got the U-Bahn (metro), trams and buses to get you as close to where you want to go as possible. We were there for a few days, so we chose to buy the 72-hour Vienna ticket at 17.10€. Tickets are applicable for the metro, trams and buses. Check the Weiner Linien official site for more information on ticket options. The 72-hours start from the 1st time you use it, so remember to validate it only on your first usage. To validate the Vienna public transport ticket or not? Speaking of validation, you will soon learn that it’s the “honour” system in Vienna. There are no entry and exit gantries to allow you access into the U-Bahn. Instead, you will see validation machines at each entrance. On the trams, there are machines as well, but not on all cars. So should you validate your public transport tickets in Vienna? Yes. Even if you have paid good money for a 72-hour pass, but you forgot to validate, should you get checked, it’s going to be a hefty fine, 60€, I believe. I assure you, that while it might be uber-tempting to not buy or validate the ticket (so as to prolong the ticket’s lifespan), for peace of mind, you’re better off obeying the rules. Otherwise, you’re going to be looking around like a guilty skunk throughout your journey. Also, unless you buy a multi-day pass, if you’re just hopping from one station to the next immediate one (like a 20 second journey! ), I would rather walk, as a single trip already costs 2.40€. If I buy a single trip ticket, I’d want to make sure I was travelling some distance to get my “value” out of it . Vienna’s U-Bahn (metro system) is easy to use and fast, but I’d hop on a tram if given a choice. The entire city centre is an ode to classical beauty, it would be a shame to be snaking around in the underground. 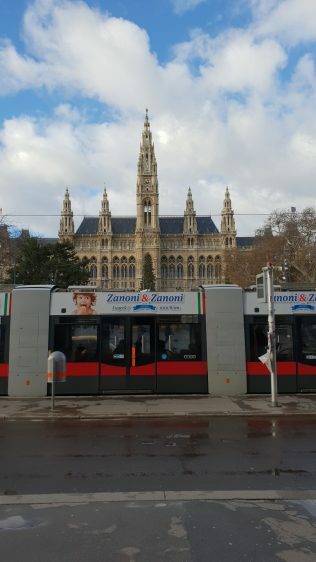 There is a tourist tram called the Ring Tram, which goes round the famed Ringstrasse, along which most of Vienna’s top sights are located. The ticket for this costs 9€, and it brings you on an expedited journey along the ring, about 25 minutes. It’s not a hop-on, hop-off though, and it only goes in one direction. I’d recommend using the public trams #1 and #2 instead. You pay less at 2.40€, as in just hop on the tram as a single trip and let it go round or buy a day pass (8€) and use these two trams to jump on and off at the sights you want to stop at. If you’re a research-holic like I am, you would have stumbled across all these options. Here’s my low-down. Why? Because the Vienna Pass gives you access to over 60 attractions, for many of which, you get the very useful “fast track” privilege. Very necessary when visiting in high season! Now because of the huge number attractions, the cost of the pass reflects that accordingly. So, you want to make sure that you can fully utilise as much of the pass as possible. That’s where being organised comes in. 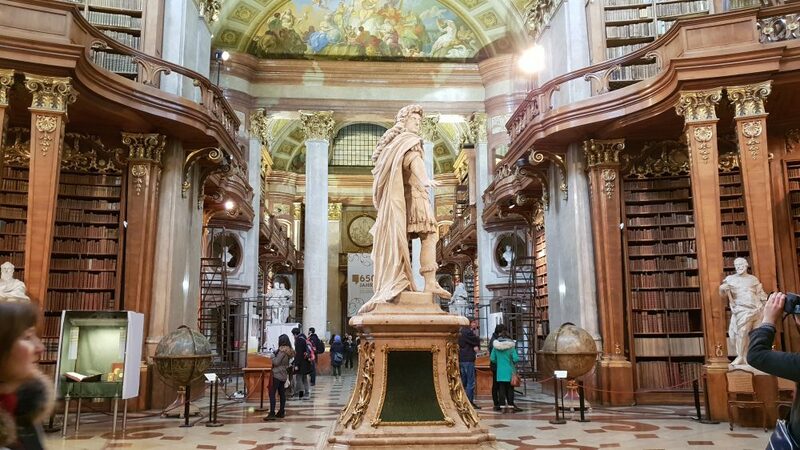 If you’re the type to pre-plan your days, making sure that you’re visiting the attractions around the same area, as opposed to jumping around various districts (or getting distracted by the very lovely thought of spending hours reading a book at a café), then the Vienna Pass is for you. There are 2,3 and 6 day options. We bought the 6-day pass and used the heck out of it! 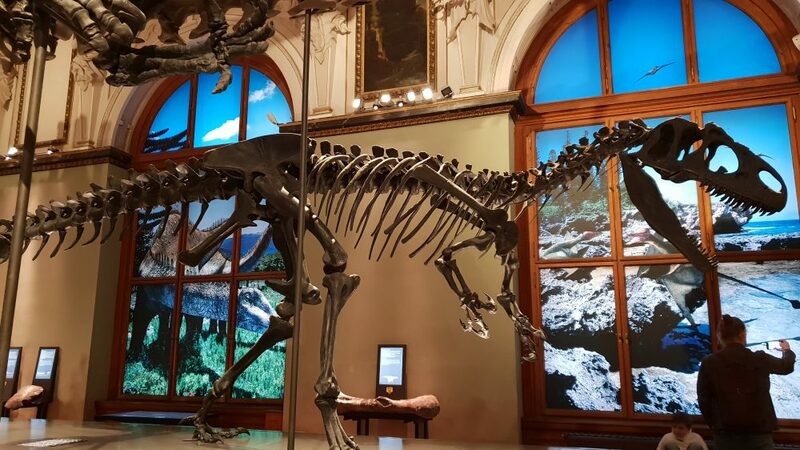 The fact that it was already pre-paid meant that if we stumbled across a smaller museum or sight that we weren’t planning to visit, but for whatever reason we decided to, we could without having to think twice about paying. 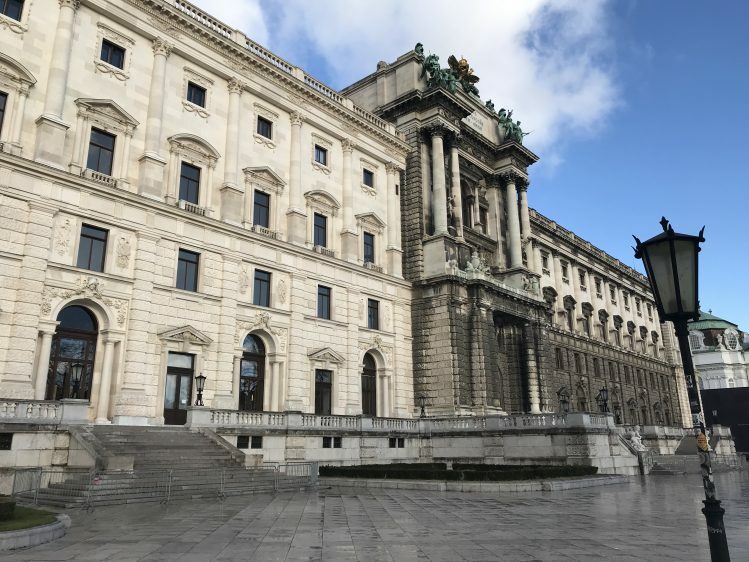 And the fast track was great use at the amazing twin museums of the Kunsthistorisches and Naturhistorisches, the Leopold Museum, the MUMOK, the Schonbrunn Palace, the Imperial Treasury and so on. Some places don’t have a fast track, but the fact that you have the pass means that you could scan it directly at the turnstile, hence not needing to queue separately to buy tickets. 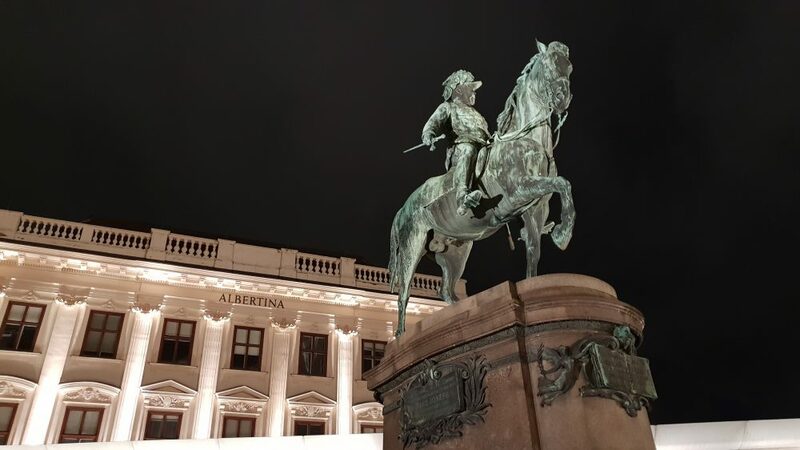 There might be some places where it’s nothing special, for example, at the ridiculously popular Albertina (worth a visit) because despite having the Fast Track, we still had to queue in a very long queue (nearly an hour) to get in. Funny, as there was another queue, for people who had to buy tickets, and I could have sworn that line was moving way faster. The good part is you can just sit on one route, you’re given headphones and there’s interesting audio information, and you get a lay of the land by just sitting on the bus. The not so great part is that it reduces your mobility and flexibility if you want to just zip around to the various sights as you have to still wait for the buses, and then follow the same route with the designated stops, so it takes up your time. This is where my public transport 72-hour ticket came in very handy, by the way, so I didn’t have to wait for the bus if I didn’t want to. 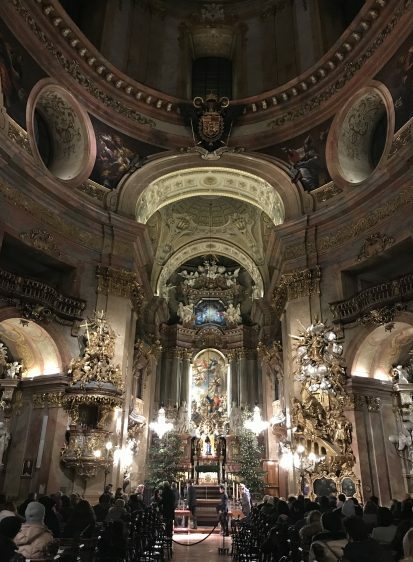 Another good thing about the Vienna Pass is the fact that it includes some places you might not even bother to visit but then you realise, it’s great to do so and something different from yet another Church, Palace or Museum. 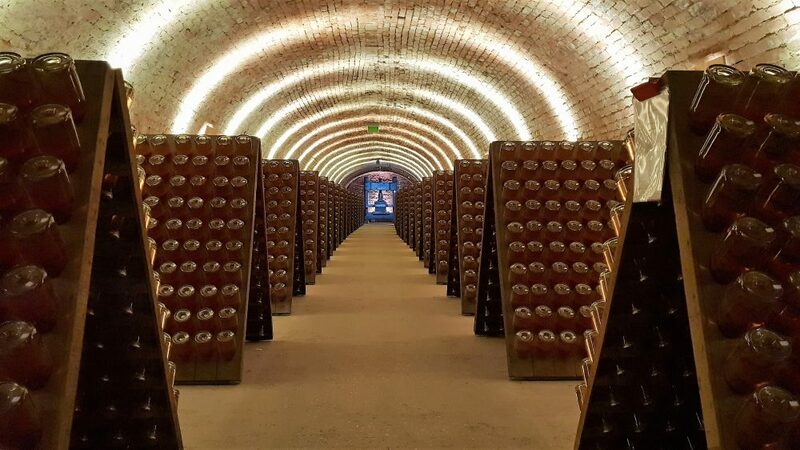 For example, the tour and wine tasting at Vienna’s eminent sparkling wine producer, Schlumberger. We went on the day we decided to take the Green Hop-on bus to the panoramic viewpoint of Kahlenberg. Incidentally, that’s the same line that takes you to the wine villages at Grinzing. We chose to drop off at Schlumberger, had nice quiet refresher course on the “Champagne method traditionelle” production and ended off with a glass of complimentary bubbly each. And of course, walked out buying a couple of bottles! 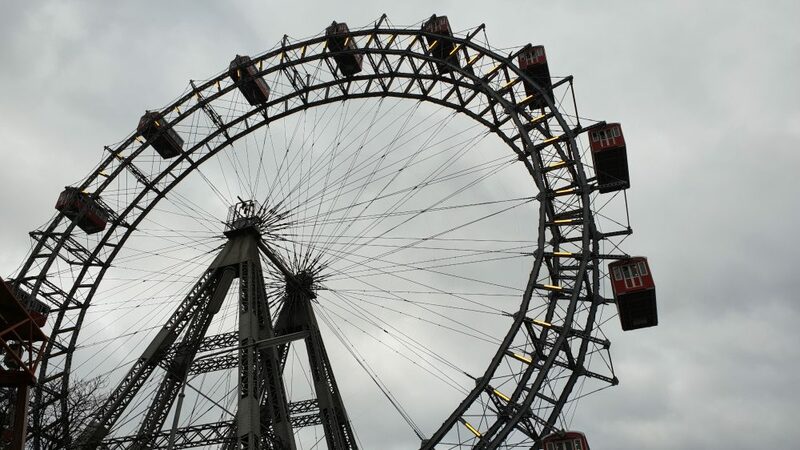 Likewise, I wouldn’t ordinarily think of visiting a fairground, but thanks to the pass and the hop-on bus, we ended up at the Prater, and had a fast track + free ferris wheel ride. Another great view of the city. 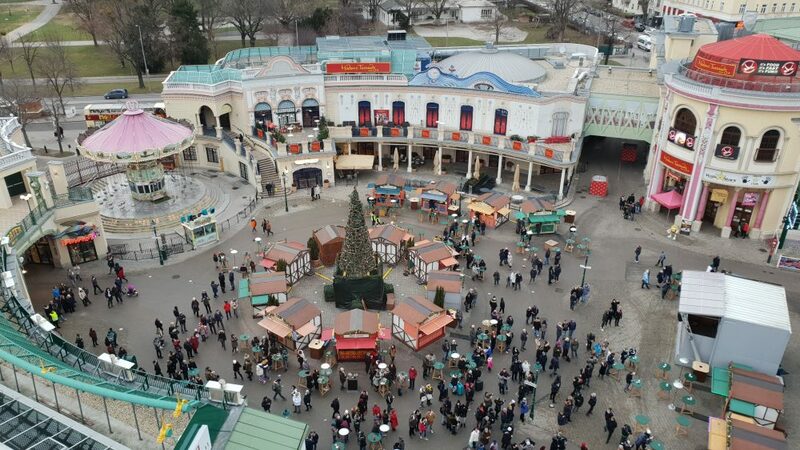 The park is also filled with eateries and other thrill-inducing rides. 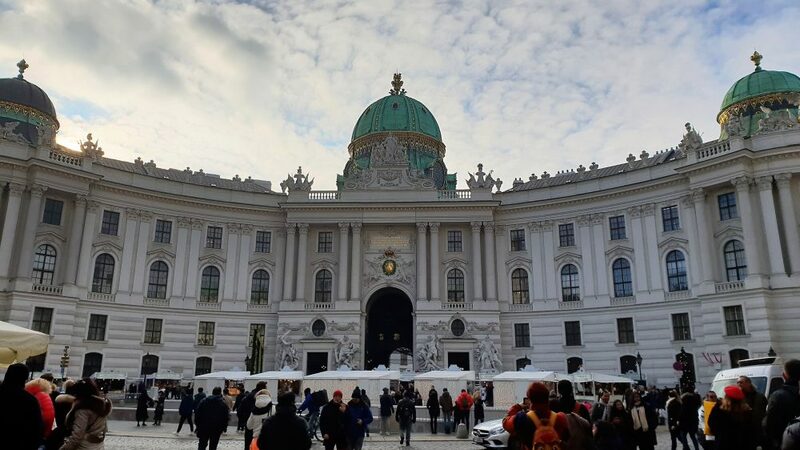 One tip about the Vienna Pass though – they offer a free 1 hour walking tour. I took it, and well.. let’s just say it wasn’t the most interesting or useful of walking tours. So if you don’t have time to do this in the midst of utilising all the other benefits, don’t sweat it. So Vienna Pass or City Card? Back to the original Vienna Pass vs Vienna City Card question. 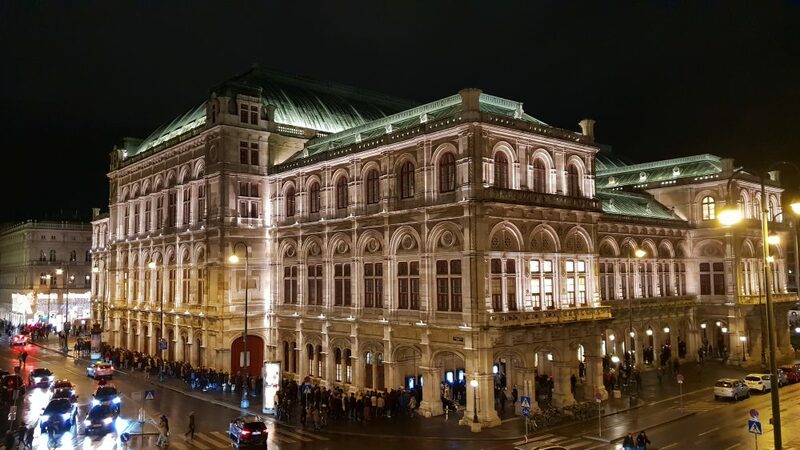 The Vienna City Card gives you discounted prices (not free), and doesn’t necessarily have fast track options for several sights. Depending on which version of the city card you select, you also get unlimited public transport or hop-on, hop-off rides. 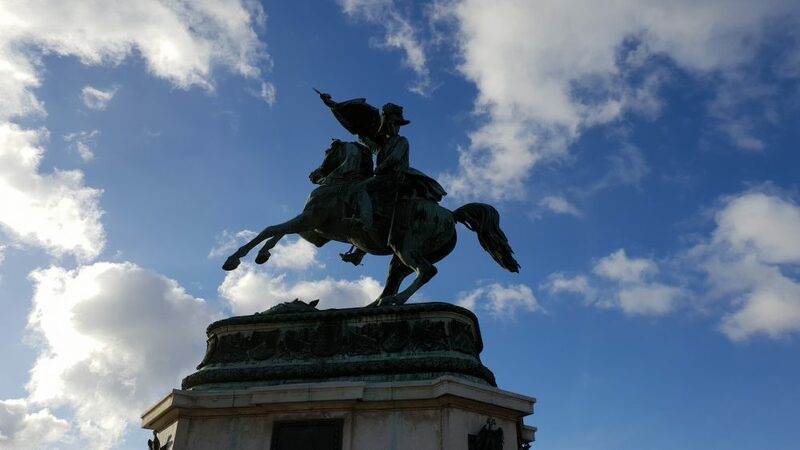 So, if you want to take it easy, not have to plan each day, visit a few attractions, then the Vienna City Card is it for you. For people who really want to visit a lot of places, the Vienna Pass is more worth it. Churches are free to enter, leave a small donation, but they are great for getting some respite from the cold and (if you’re lucky, the crowds). 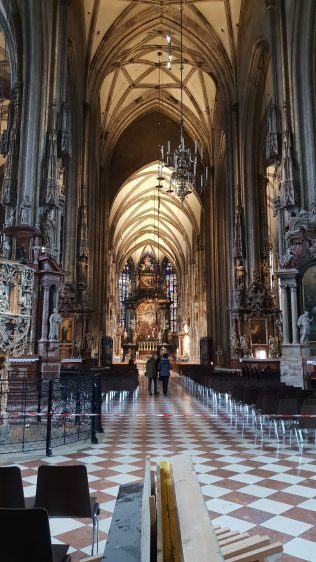 The iconic St. Stephen’s Cathedral is a must-visit, and while you need to pay to see some of the treasury items, my suggestion is to download an audio guide (I used Rick Steves) and hear all about the history of the church. St. Peter’s Church has free organ concerts daily at 3pm. And in the evenings too, thought it might not be daily. Check their site for more info. On Tuesday, MAK (Museum of Applied Arts) is free from 6pm-10pm. 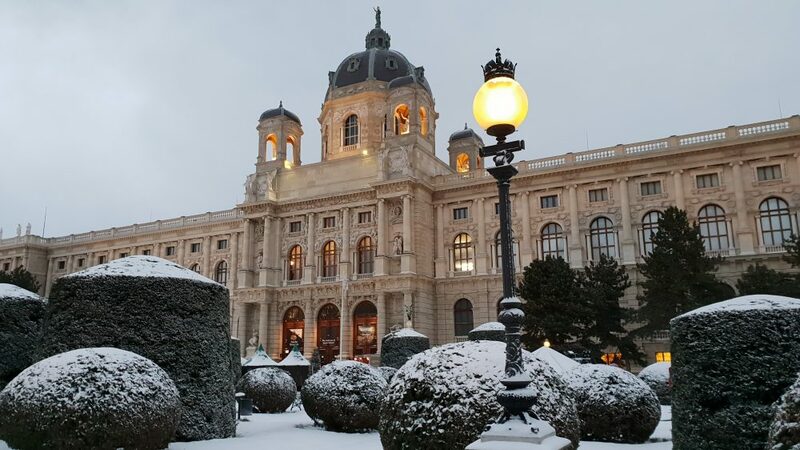 And on 1st Sunday of each month, some museums such as the Wien Museum, Military History Museum, Romermuseum and Otto Wagner Pavillion, Schubert Geburtshaus, Haydnhaus etc are free. Check online for latest updates. At the Burggaten. No lush garden in winter, but I think the snow is way more special! Now, we were there in Winter, so no picknicking was possible. 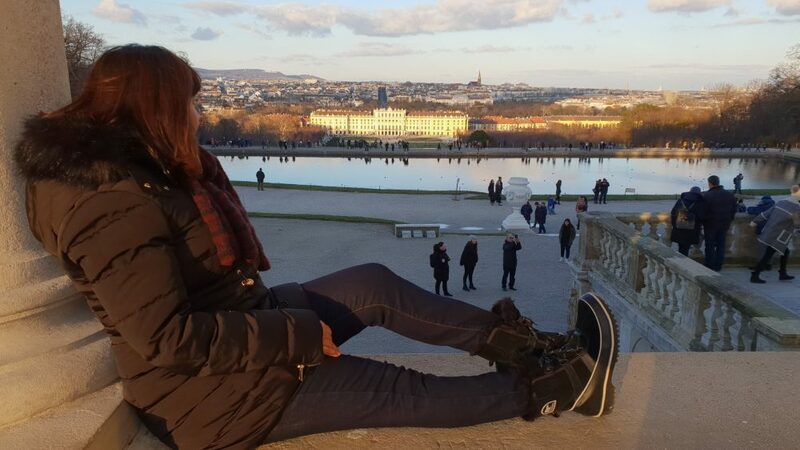 But, we did walk around the gardens of Burggaten, Schonbrunn and the Belvedere, all of which cost you nothing at all. Imagine in the summer, with the flowers blooming, it would be lovely! 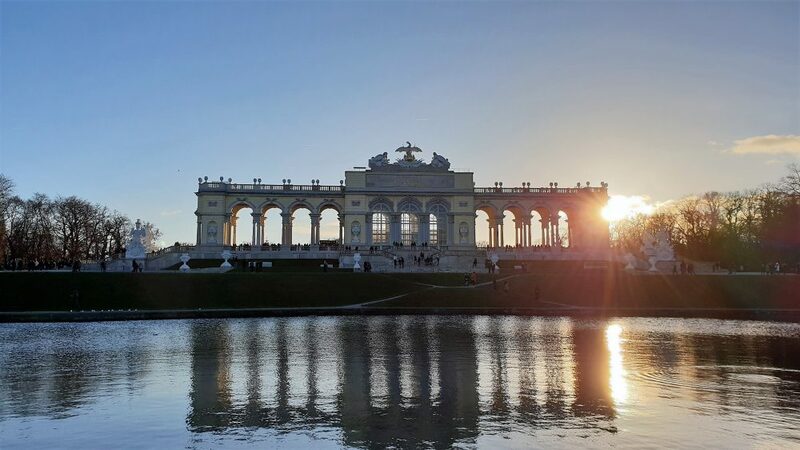 By the way, remember to walk up to the Gloriette for amazing views of the palace and the city. 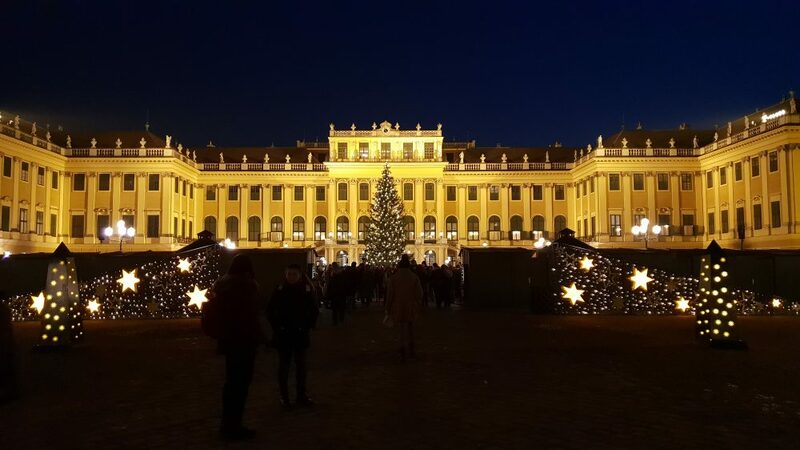 Here’s my top tip – I couldn’t be bothered to traverse the zig-zagging path, so we went up a path by the left side facing the Gloriette. Much faster! 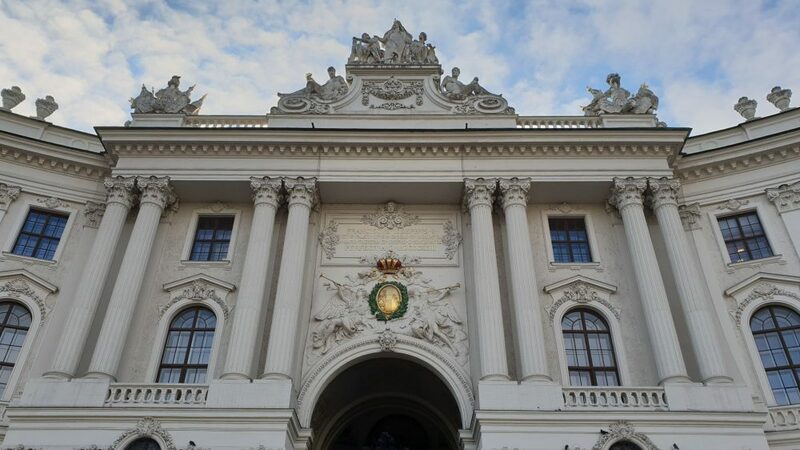 Your eyes will quickly adjust to the stately, almost opulent setting of Viennese city scape. They almost start to look the same. 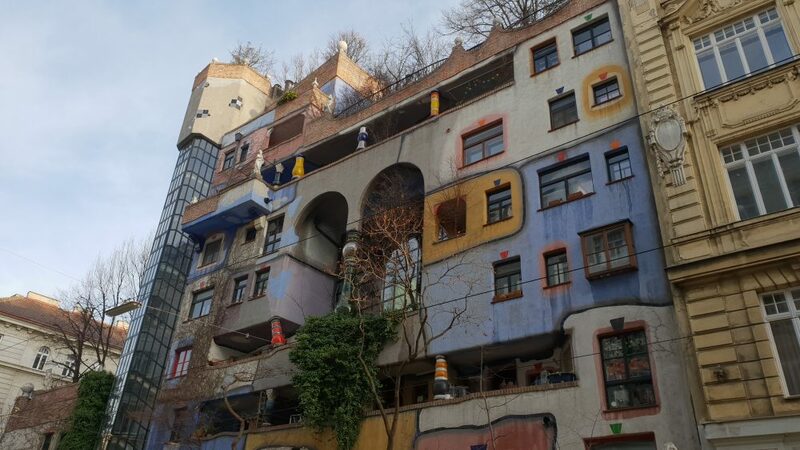 That’s when you take a side trip to the houses designed by architect Friedensreich Hundertwasser – it reminded me just a little of the astounding Gaudi, father of architecture in Barcelona. 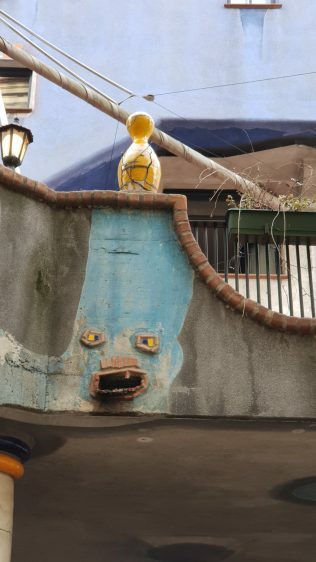 Admire the curves, the colours and look out for unique details like the face below. 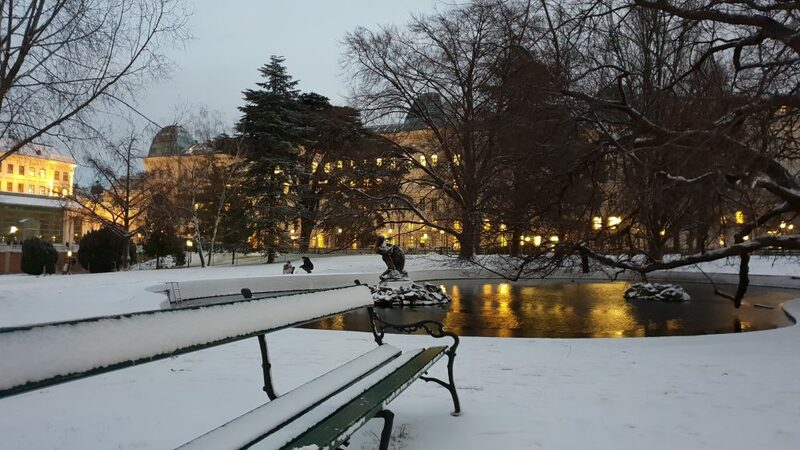 It isn’t always schnitzel and sausages in Vienna. There is quite a buzzing multicultural scene, especially well-known at this buzzing open-air market. See Asian, Middle Eastern and other cuisines mingle at the various stalls, and the area has many restaurants as well. Of course, you would have to spend some money to eat here, so technically not free, but a trip here would add much colour to your otherwise Imperial Austrian holiday. 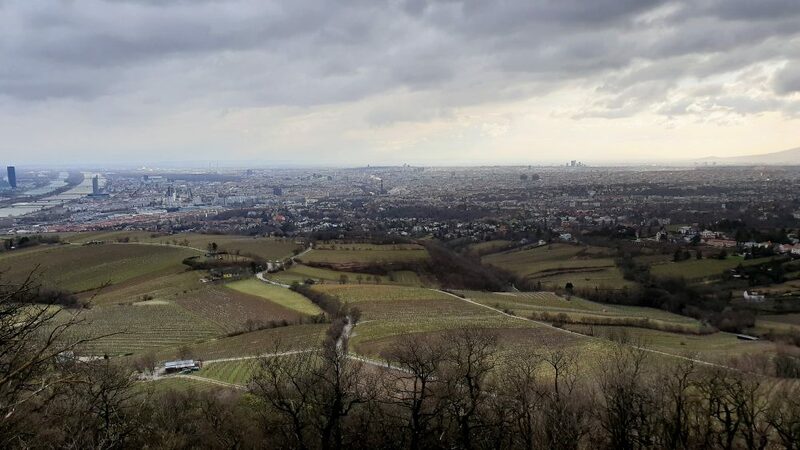 Located 484m high, Kahlenberg’s panoramic viewpoint spot can be reached via a 4-hour hike or if you have the Vienna Pass, hop on the Green line which takes you all the way up. If not, public transport gets you there as well. Take the U-Bahn or a tram to Heiligenstadt, then switch to the 38A bus to Kahlenberg. 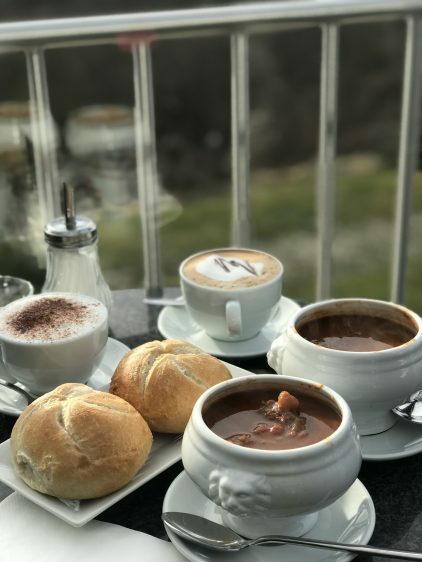 You’ll have a view over the vineyards and the city if you peer hard – it was cloudy for me, but we enjoyed a cosy corner at the café with goulash to keep us nice and toasty. You might have already heard of the 3€ State Opera standing room tickets. And you might be wondering if you should bother. Well, we didn’t, I’m guessing because we lucked out – it was year-end, and during the festive season, the opera has a huge outdoor screen, with seats set up, so you can sit and watch an entire performance for free! True, it would be cold, but bundle up, and check it out for a while – we saw the 2nd half of The Nutcracker and it was great. 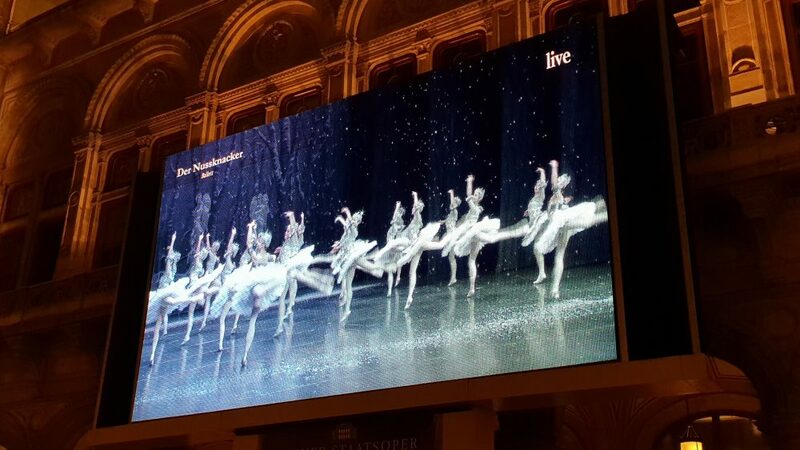 That’s our free Nutcracker viewing! Now, if that hadn’t happened, and we hadn’t been so busy going for our dinners, we might have done the estimated 1-hour plus queueing for the 3€ tickets. Lines apparently start to form from 5pm, for the performances which are at 7pm, and you can see from the picture below that they queues get long. Good news it that there are over 150 tickets up for grabs, so you should be able to secure a ticket. Finally, it’s free to walk around! 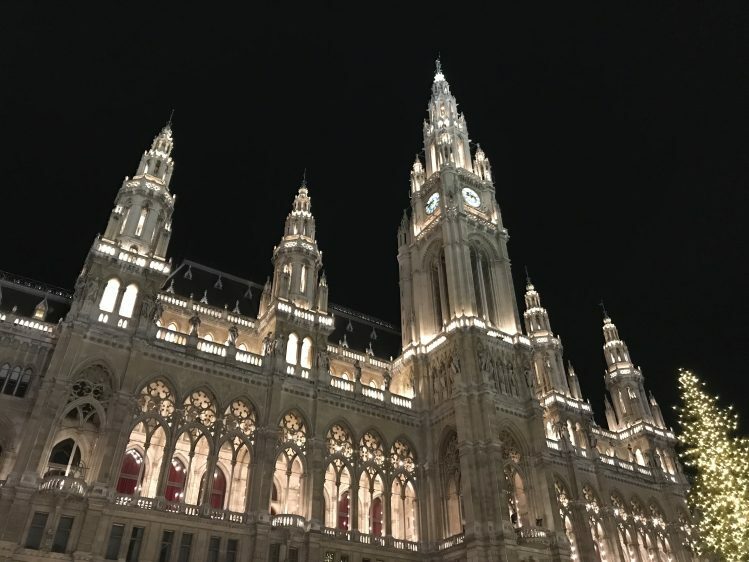 Just download your preferred audio guide, plug in, and off you go exploring the history and beautiful architecture of Vienna’s many sights! 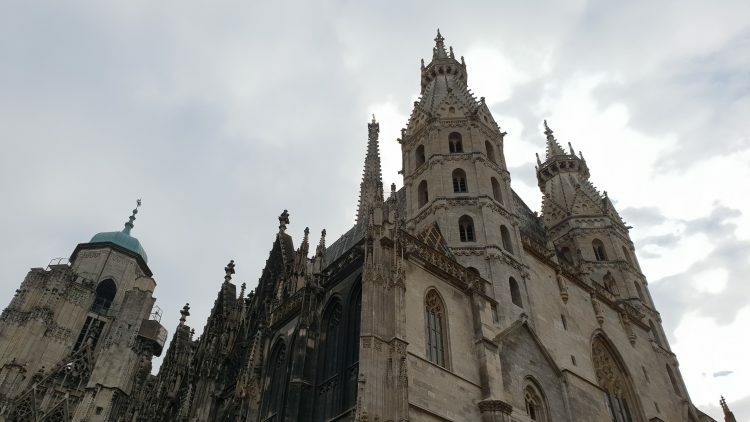 Another area you’re bound to walk around more than once is Stephansplatz, with the beloved St Stephen’s Cathedral. Again, I love the Gothic influences and this church reminded me of the Sagrada Familia in Barcelona. Sort of. 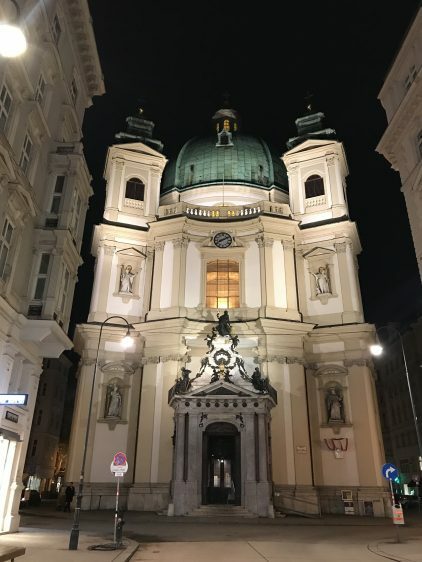 Now, most times people talk about what to do, but if you’d like to know what you shouldn’t waste your time on, check out my tips on What Not To Do in Vienna.